Version 3 is a major upgrade from version 2, adding many powerful means of shaping your sound, whilst maintaining the simplicity and CPU efficiency that made version 2 so popular. 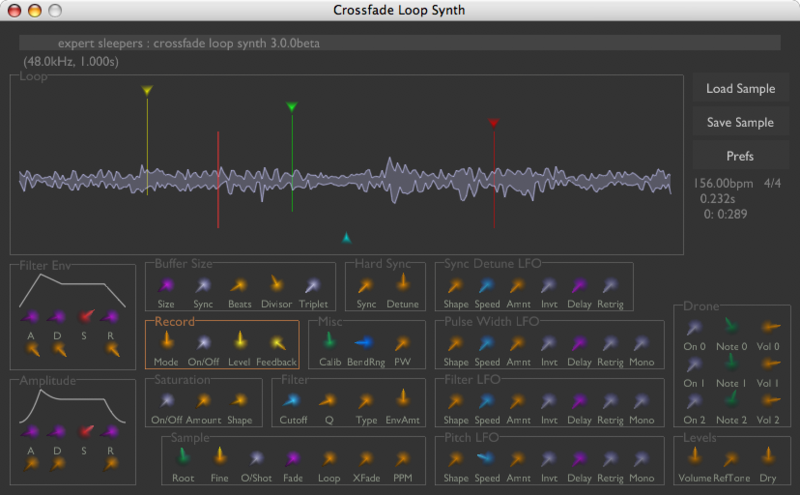 Crossfade Loop Synth is at heart a simple sample playback synth plug-in. It plays samples in the classic sampler manner - by simply altering the playback speed according to the desired note. No fancy timestretching or pitchshifting is applied. You can control how the sample is looped as it is played. An adjustable amount of crossfade can be applied to the loop endpoints to smooth the transitions. This makes it extremely easy to produce glitch-free pad sounds. The loops can also be played backwards and alternately forwards and backwards (pendulum-style). Further sound processing can be applied in the form of overdrive/saturation, filtering, envelopes (for amplitude and filter), pulse-width modulation, oscillator sync and LFOs (one each for filter, pitch, PWM and sync). 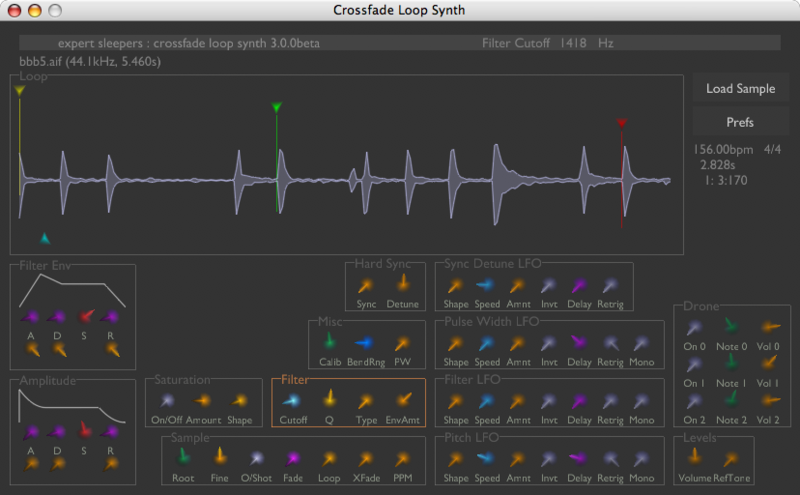 Crossfade Loop Synth Effect is the same as Crossfade Loop Synth except you can record live audio to use as the sample, rather than just loading it from disk. You can record continuously, even while playing back. This allows you to use the plugin as an extremely unusual and creative delay effect. For example you can have the delays played back at double the pitch/speed you played them. Or at double the pitch and backwards. Or as a chord. Or repeat the first beat of every bar... the possibilities are legion. You can save the recorded sample to disk as an AIFF/WAV file for later use. To remove the time-out, you can purchase a registration. The price is $49 (US dollars, plus VAT if applicable). See here for upgrade information if you own v2.x. The previous version (2.1.x) is still available here. The first version (1.3) is freeware, and still available here.